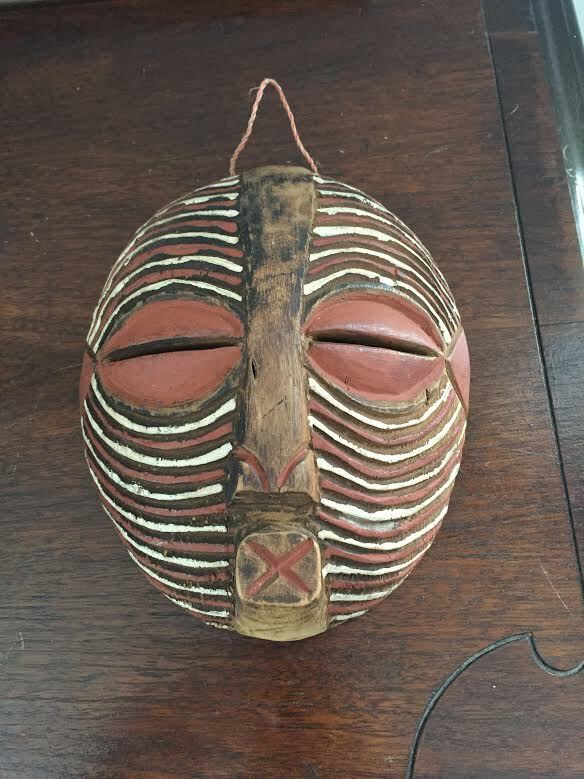 This mask from the Congo is a traditional Luba craft, not created for the tourist trade. Bidding starts at $200. 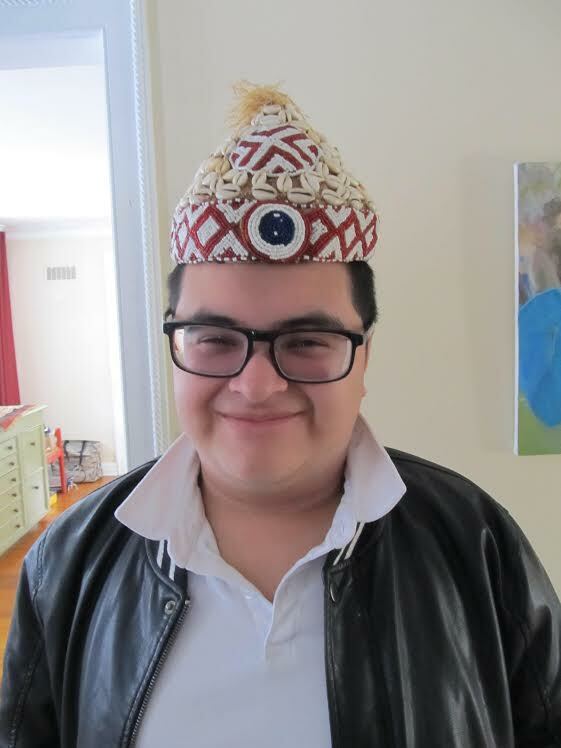 This amazing Luba Shankadi mask will be on sale, in a live auction, at the African Soiree on Saturday, March 21. Anyone may buy other items at the African marketplace, from 4:30 on, but you need a ticket to the dinner to participate in the Kuba art auction. Go to the United Front Against Riverblindness website for tickets. Also, a cowry-shell and bead purse. How unusual! 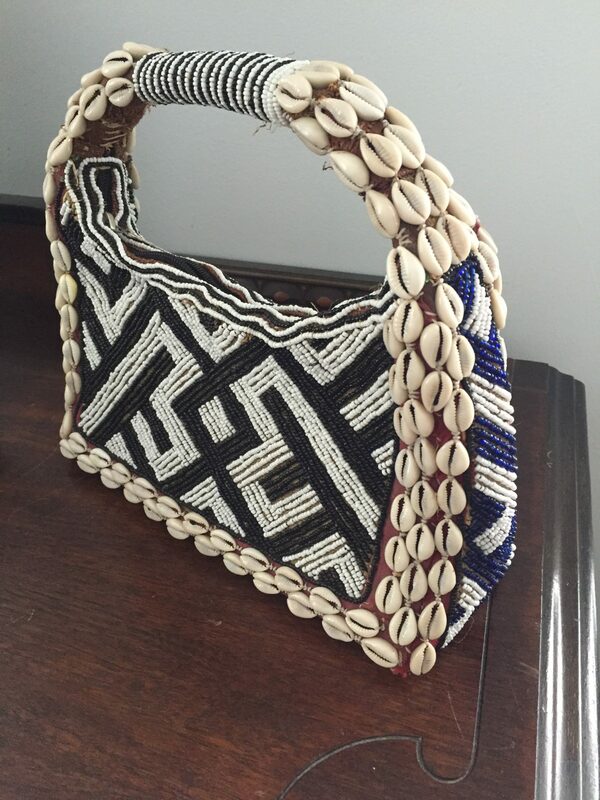 Cowry shells were a form of money, so this purse is a double-entendre — cowry shells on a handbag that holds money. Bidding starts at $100. And — just for fun — here is Jack wearing a title holder’s hat of office, similar to one in the auction. Our own Michele Tuck-Ponder will call the auction, all to benefit United Front Against Riverblindness, giving hope to thousnds of Congolese. This entry was posted in Missions, UFAR and tagged African, Congo, cowry shells, Luba, masks, Michele Tuck Ponder, United Front Against Riverblindness. Bookmark the permalink.